You are here: Home / Prof. Mark Van Stone, PH.D., G.F.
* 2005: Ph.D., Institute of Latin American Studies, University of Texas, Austin: cross-disciplinary degree in Art History and Maya Epigraphy. * 2001: Co-author with Michael D. Coe, Reading the Maya Glyphs, New York and London. 2nd edition 2005. * 1982 – 83: Apprenticeship in traditional Japanese Netsuke carving under Sensei Saito Bishu, Kawaguchi, Japan. Dr. Van Stone received his undergraduate degree in Physics and worked in the gamma-ray astronomy laboratory at the University of New Hampshire, until lured away to self-employment as a calligrapher and carver. In the world of calligraphy and type design, he established himself as an expert in paleography and the evolution of written forms, teaching and lecturing widely on the subject for the next twenty years. A lifelong autodidact, he constantly seized opportunities to study in the reading rooms and storerooms of libraries and museums great and small throughout the world. A stint as a clay-animator at Will Vinton Studios, and study with netsuke carver Saito Bishu Sensei in Kawaguchi, Japan, focused his sculptural skills, as well as his understanding of the cultures of animation, film making, and Japan. A Guggenheim Fellowship took him around the world, studying and photographing manuscripts and inscriptions of many nations, from Medieval Europe and the Islamic world, back to Rome and Greece, to Southeast Asia and Japan, to the hieroglyphs of Egypt and Central America. His unique approach to understanding a script: learning to write and carve it (viz. limestone carving below). There is something one learns by actually making such an artwork that one can learn no other way. Mark’s unique combination of scientific training, passion for beauty and calligraphic expertise has bestowed profound insight into the script technique of all these diverse traditions. This expertise has led to some peculiar jobs, such as producing movie props like the “Pirate’s Code Book” for the Pirates of the Caribbean films. In the 1980’s he began to focus on the most complex, beautiful, and little-understood script, Maya Hieroglyphs, and entered the University of Texas graduate school under the renowned Linda Schele in 1994. He earned his MA in 1996 and his Ph.D. in 2005. During this time, he co-authored “Reading the Maya Glyphs” with Michael Coe, now the standard introduction to the topic. 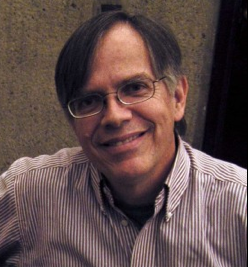 He is presently Professor of Art History at Southwestern College, and published a new book, “2012 – Science and Prophecy of the Ancient Maya.” His dual background in science and art is essential to his unique understanding of Maya calligraphy, and of the development of all writing systems.